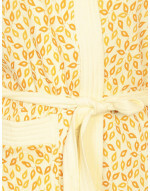 Treat yourself to the luxury and style of this Cotton, Printed bathrobe from Goldstroms. 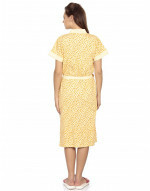 This bathrobe has half sleeves and has a self-tie belt around the waist. This regular-fit, knee-length bathrobe ensures maximum absorption.